When my mental illness took nearly everything from me, I was constantly told by people that I needed to have a focus to aid my recovery. Since I was already blogging, I decided to stick with it no matter what and use it as my main focus in life. 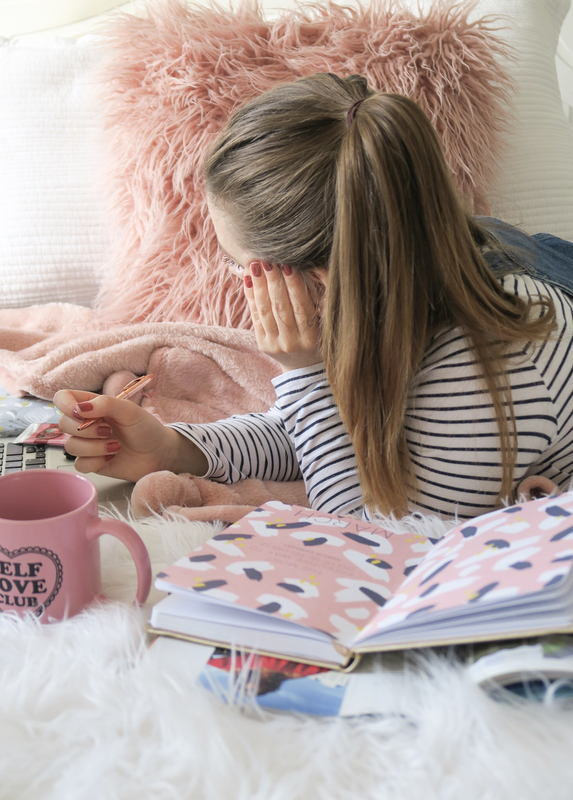 Hobbies like blogging are important to have in life in general, but they are especially beneficial when you want to improve your mental health. Creative hobbies in particular have proven benefits to those who suffer with poor mental health conditions. The great thing about having a creative hobby is that you do not have to worry about having lots of time or a range of skills, because they are essentially up to you how often you spend doing each activity and it’s also up to you how much you get out of them. But if you still need more convincing in getting yourself into a creative hobby, then here it is goes..
Life is all about learning. Right from a young age we go to school right up until we’re 18 years old. Then we set off on whatever career path we have chosen, whether that’s further studying or into the place of work. Even when we’re not in a professional environment, every new experience is an opportunity to learn. When taking up a hobby, you’re allowing yourself to learn something new. Studies have proven that when you’re learning, you’re giving your brain the chance to function and we all know that our brain plays a part in our mental health. Keeping this side of your brain active is a great way to improve your thinking skills. It also helps to keep you focused on something positive rather than focusing on any distressing thoughts. Instead you can greater your skills, increase your experiences, build your knowledge and boost your confidence. And we all know how amazing it feels when our confidence increases. This will therefore make us feel better overall. When we have the confidence in our abilities, we can then trust ourselves to help and teach others how to do something. Again this works well at improving our general happiness because when we support others we feel good. I’m a firm believer in creating your own happiness rather than waiting for your happiness to come to you. Creative hobbies can be one of those things that you do that brings you so much joy. When you’re creative, you’re seeing something you’ve made come to life. This could be anything from thinking of new ideas to physically building something with your own hands. The results that come from this brings a great deal of satisfaction, which over time will increase your self esteem and make you feel good. Being creative also gives us the chance to connect with ourselves, something you may have struggled to do in the past, because it may have been too hard for you to do so. But doing something positive to connect with the inner you is a great first step and one that can be slowly introduced until it becomes easier. You’re giving yourself the opportunity to be yourself and prove to you how amazing you can be! Mindfulness is a topic that gets talked about a lot when it comes to improving our mental health. To be mindful it means being aware of something. I know in the past when I have struggled with my mental health badly, focusing on the present moment is one of the hardest things, because my mind is either focusing on the past or the future. A creative hobby can take your mind away from those troubling thoughts and bring you straight back to the now. It gives you something else to focus on and can actually be a great way to calm yourself down if you’re feeling anxious or angered in any way. If you’re someone who struggles to shut off from the world around them, being able to partake in your creative hobby enables you to unplug from the outside and focus on the inside in a more positive yet relaxing approach. Not every hobby necessarily involves you being surrounded by people all the time. Blogging is perfect for my introvert self, because I don’t have to have much social interaction unless I decide to go to any events or meet up with any blogging friends. But if social anxiety is something you struggle with like I do or you just want to improve your social circle in general, then creative hobbies can get you to be more social than you might have first thought. Different hobbies have different classes, workshops, groups and events that enable you to meet new people and get to know them. It’s a great way for you to improve your social skills and confidence, whilst meeting new faces and sharing your creations. This can then create a community of individuals with similar interests coming together to do something fun and build bonds with people. It’s pushing you out of your comfort zone but in a gentle way, because you still have the fun side of learning something new to distract you from freaking out completely. You could also get your friends and family involved also. Structure was something that I was definitely missing out on in my own routine and is also one of the most important stages of recovery. If you don’t have structure in your day, you’re giving yourself that chance to bring in those unwanted thoughts and give them the chance to shine. Instead you want to be using your time proactively and getting into some sort of structure. This will help you to be more aware of the days of the week, because when we’re lost in our own minds, it can be hard to keep up with the outside world, days can move into weeks, weeks into months if we’re not keeping track. Having a designated time during the day or week when you plan on carrying out your hobby, can really help with your motivation and bring some normality back into your life if you’ve been feeling all over the place lately. When you put the time into something, you’re also boosting your confidence and giving yourself that recognition that you deserve to spend some time doing what you love. I’ve been what is commonly known as unemployed now because of my mental health for a while now. It’s only been this year I’ve labelled myself as a full time blogger, because I’m lucky enough now to earn a small income from this amazing hobby. As you can see what was and still is a hobby of mine, has enabled me to earn some cash that I wouldn’t have had before and has therefore improved my overall wellbeing. It’s boosted my confidence and made me stop worrying about money so much. It made me remember how good it feels to earn again. If you decide to go with a hobby that enables you to create and then have the potential to tell what you have made, then think how many new skills you can learn and how much involvement you can have with this exciting new adventure. You can work on building up your customers and marketing your creations. The positive feedback you gain will boost your confidence and enable you to have belief in yourself. As you can see there are so many different creative hobbies out there and the opportunity to try as many as you like. You could even combine some of them and have multiple ones if you really want to get the full positive impacts a creative hobby can have in improving your mental health. Because as I highlighted, there are some great reasons as to why a hobby that means you being creative can be one of the best things for you when you need that extra bit of help with your mental health. Don’t be afraid to try something new. You never know how much you’ll like it or how much it might help you!